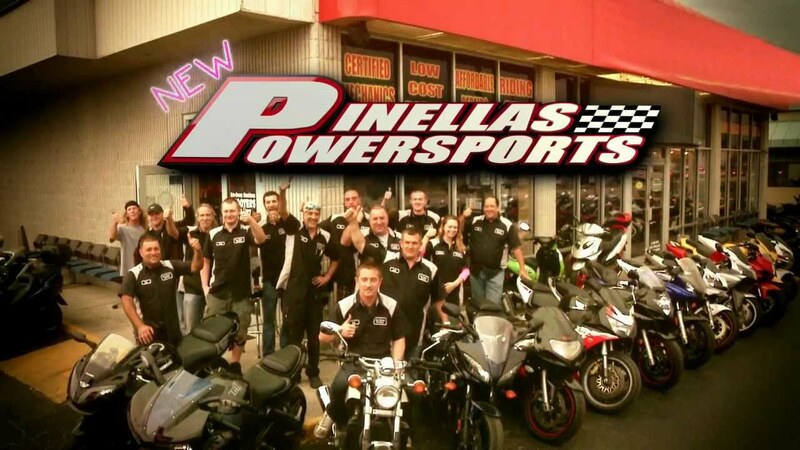 Enrique Behrens and the staff who work at Pinellas Power Sports love motorbikes, and they love helping people who love bikes to get their dream machine. You can tell when you speak to people at the company that they love what they are doing, and if you like bikes this seems like it would have to be the perfect place to work. Enrique has always worked hard, and you get the feeling that he has always found enjoyment in his work. Enrique used to run a home inspection company but had a lot of friends into bike life, so when he ended his previous company it made sense to take over a company that sold bikes. He has now been in the business five years and he believes that customer service is paramount. When asked what the secret to his success has been, Enrique answered very pragmatically: "Going to work." It seems such a simple thing, but you can tell that it really is the thing that has helped Enrique to win in life and business. This is his third successful business since leaving business school in university, and he really likes being a business owner. Enrique loves to help people, and was involved in raising money for a local kid called Blake, who has a life-threatening condition and is in a wheelchair. A lot of bikers came together, cooked food, raised money, and had a great time helping with this great cause. Enrique's philosophy is 'How hard you work is how good you are doing". You can tell they pull our all the stops to help their clients, and they have some great reviews that attest to this.